Wolf Commercial Real Estate, a leading Southern New Jersey commercial real estate broker that specializes in Southern New Jersey commercial real estate listings and services, is now offering well located Southern New Jersey retail space for lease at 200-300 White Horse Road Voorhees NJ. This highly visible retail space in Southern New Jersey is located in the Echo Shoppes shopping center. Surrounded by established, high-density residential neighborhoods with excellent demographics, this Southern New Jersey retail space for lease is positioned in an area with a strong base of potential customers. There are two units available for lease at this retail space in Southern New Jersey. Building 200 offers 2,400 square feet and while Building 300 provides 1,560 square feet of prime Southern New Jersey retail space for lease. This retail space in Southern New Jersey is available for immediate lease through Wolf Commercial Real Estate, a Southern New Jersey commercial real estate brokerage firm that specializes in Southern New Jersey commercial real estate listings and services. The asking lease price of this well located retail space in Southern New Jersey is $14.00 per square foot NNN. There are attractive lease terms for this Southern New Jersey retail space for lease at 200-300 White Horse Road Voorhees NJ. The Echo Shoppes shopping center where this retail space in Southern New Jersey is located has a diverse mix of existing tenants. There also is excellent access to this Southern New Jersey retail building for lease from busy White Horse Road, as well as from the nearby White Horse Pike and Haddonfield-Berlin Road. This Southern New Jersey retail space for lease also is within close proximity to Routes 70, 73 and I-295. This Southern New Jersey retail building for lease in the Echo Shoppes shopping center at 200-300 White Horse Road Voorhees NJ is located near the Flyers Skate Zone, the Woodcrest Country Club, several professional and medical offices and a regional branch of the Camden County Library. There is highly visible tenant signage at this Southern New Jersey retail space for lease through Wolf Commercial Real Estate, a Southern New Jersey commercial real estate broker that specializes in Southern New Jersey commercial real estate listings and services. Parking is ample at this Southern New Jersey retail building for lease. For more information about this Southern New Jersey retail space for lease at 200-300 White Horse Road Voorhees NJ or about any other Southern New Jersey commercial properties for sale or lease, please contact Leor Hemo (856-857-6302; leor.hemo@wolfcre.com) at Wolf Commercial Real Estate, a Southern New Jersey commercial real estate brokerage firm. Wolf Commercial Real Estate is the foremost Southern New Jersey commercial real estate broker that provides a full range of Southern New Jersey commercial real estate listings and services, marketing commercial offices, medical properties, industrial properties, land properties, retail buildings and other Southern New Jersey commercial properties for buyers, tenants, investors and sellers. Please visit our websites for a full listing of Southern New Jersey commercial properties for lease or sale through our Southern New Jersey commercial real estate brokerage firm. Wolf Commercial Real Estate, a leading South Jersey commercial real estate brokerage firm that specializes in Millville commercial real estate listings and services, is now offering highly visible South Jersey retail space for sale at 201-211 Kates Boulevard Millville NJ. This retail space in Millville is located in the Holly City Plaza, neighborhood strip center on the corner of Route 47 & Kates Boulevard in downtown Millville. This retail space in 08332 is priced for a quick sale at an asking price of $325,000 ($57.14/SF). There is approximately 6,160 square feet of retail space in South Jersey for sale in the Holly City Plaza at 201-211 Kates Boulevard Millville NJ. This Millville retail space for sale is partially leased, with one tenant occupying 1,500 square feet and producing income. This retail space in 08332 is a great investment opportunity with tremendous upside potential. This retail space in Millville is available for immediate sale through Wolf Commercial Real Estate, a South Jersey commercial real estate broker that specializes in South Jersey commercial real estate listings and services. There are six storefronts at this retail space in South Jersey at 201-211 Kates Boulevard Millville NJ. The five vacant storefronts at this retail space in 08332 range from 675 square feet to 1,125 square feet. In addition, there are 20 parking spaces at this Millville retail space for sale in the Holly City Plaza. This retail space in Millville has excellent exterior signage available on a pylon and above the storefront. More than 27,000 people live within a three-mile radius of this Millville retail space for sale. Wolf Commercial Real Estate, a South Jersey commercial real estate brokerage firm that specializes in Millville commercial real estate listings and services, has been retained to market this retail space in South Jersey at 201-211 Kates Boulevard Millville NJ. Information is available upon request. For more information about this South Jersey retail space for sale at 201-211 Kates Boulevard Millville NJ or about any other South Jersey commercial properties for sale or lease, please contact Jason Wolf (856-857-6301; jason.wolf@wolfcre.com) at Wolf Commercial Real Estate, a South Jersey commercial real estate broker that specializes in South Jersey commercial real estate listings and services. Wolf Commercial Real Estate is a premier South Jersey commercial real estate broker that provides a full range of South Jersey commercial real estate listings and services, marketing commercial offices, medical properties, industrial properties, land properties, retail buildings and other South Jersey commercial properties for buyers, tenants, investors and sellers. Please visit our websites for a full listing of South Jersey commercial properties for lease or sale through our South Jersey commercial real estate brokerage firm that specializes in Millville commercial real estate listings and services. Wolf Commercial Real Estate, a premier South Jersey commercial real estate brokerage firm that specializes in South Jersey commercial real estate listings and services, is now offering highly visible South Jersey retail space for lease at 226 Haddonfield Road Cherry Hill NJ. Located directly across from the Cherry Hill Mall, this South Jersey retail building for sale is positioned for phenomenal daily exposure to thousands of shoppers leaving the mall from one of the busiest exits/entrances on the mall grounds. There is a traffic light at Haddonfield Road and Dudley Avenue where this retail space in South Jersey is located. A massive exterior renovation was recently completed at this South Jersey retail building for lease and sale. In addition, the grounds of this South Jersey retail space for lease at 226 Haddonfield Road Cherry Hill NJ are meticulously maintained. There is a single unit totaling 3,018 square feet available at this South Jersey retail space for lease through Wolf Commercial Real Estate, a South Jersey commercial real estate broker. This retail space in South Jersey is ideal for any retail operation seeking maximum exposure to thousands of potential customers daily. The other tenant in this South Jersey retail building for sale at 226 Haddonfield Road Cherry Hill NJ is a men’s apparel store. The asking lease price of this well positioned retail space in South Jersey is $15.00 per square foot NNN. The building that houses this South Jersey retail space for lease also is available for sale as a multi-tenant investment opportunity. Information regarding this sale is available by request only to Wolf Commercial Real Estate, a South Jersey commercial real estate brokerage firm that specializes in South Jersey commercial real estate listings and services. There are more than 126,000 potential customers living within a three-mile radius of this South Jersey retail building for sale. This retail space in South Jersey at 226 Haddonfield Road Cherry Hill NJ has excellent pylon and store signage. There is plenty of parking at this retail space in South Jersey at a ratio of 2.50/1,000 sf. This South Jersey retail space for lease is available for immediate occupancy through Wolf Commercial Real Estate, a leading South Jersey commercial real estate broker that specializes in South Jersey commercial real estate listings and services. Cherry Hill, where this South Jersey retail building for sale is located, is the heart of business and commerce in South Jersey, with hundreds of restaurants and stores within its borders. It is the prime shopping destination for people of all income levels from the surrounding counties, with a key focus being the Cherry Hill Mall that is directly across the street from this retail space in South Jersey. For more information about this South Jersey retail space for lease at 226 Haddonfield Road Cherry Hill NJ or about any other South Jersey commercial properties for sale or lease, please contact Jason Wolf (856-857-6301; jason.wolf@wolfcre.com), Leor Hemo (856-857-6302; leor.hemo@wolfcre.com) or Todd Levin (856-857-6319; todd.levin@wolfcre.com) at Wolf Commercial Real Estate, a South Jersey commercial real estate brokerage firm. Wolf Commercial Real Estate is the foremost South Jersey commercial real estate broker that provides a full range of South Jersey commercial real estate listings and services, marketing commercial offices, medical properties, industrial properties, land properties, retail buildings and other South Jersey commercial properties for buyers, tenants, investors and sellers. Please visit our websites for a full listing of South Jersey commercial properties for lease or sale through our South Jersey commercial real estate brokerage firm. Wolf Commercial Real Estate, a leading South Jersey commercial real estate broker that specializes in South Jersey commercial real estate listings and services, is now offering South Jersey retail space for sale at 399 East Broad Street Bridgeton NJ. This newly constructed South Jersey retail building for sale offers prime visibility, easy access and excellent exterior signage. The Bridgeton retail space for sale at 399 East Broad Street Bridgeton NJ is a free-standing building that is ideally located in close proximity to the downtown Bridgeton Center Business District. There is 9,040 square feet of Bridgeton retail space for sale in this South Jersey retail building at 399 East Broad Street Bridgeton NJ. 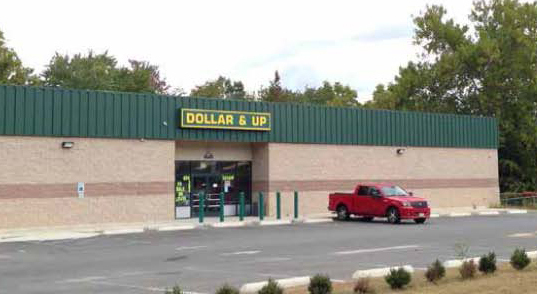 This retail space in South Jersey is well suited for use as a dollar store, general retail store, a restaurant or any retail establishment seeking ample parking and a great location. The asking sale price of this retail space in Bridgeton NJ is $975,000. This South Jersey retail space for sale is available for immediate occupancy through Wolf Commercial Real Estate, a South Jersey commercial real estate brokerage firm that specializes in South Jersey commercial real estate listings and services. 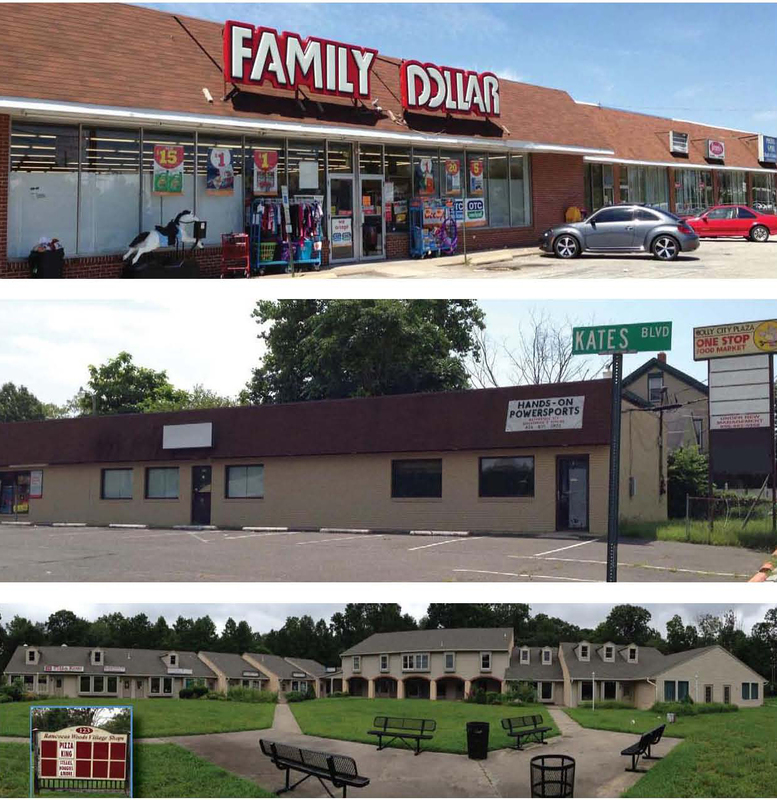 This South Jersey retail building for sale at 399 East Broad Street Bridgeton NJ is located on 5.91 acres on Broad Street (Route 49), a main thoroughfare through in Bridgeton. Parking is plentiful at this retail space in Bridgeton NJ at a ratio of 4.4/1000 sf. There is both store and pylon signage available at this retail space in South Jersey. There are nearly 34,000 potential customers living within a three-mile radius of this Bridgeton retail space for sale through Wolf Commercial Real Estate, the foremost South Jersey commercial real estate broker. Bridgeton, where this South Jersey retail building for sale is located, has a rich history of contributing to the American economy through small business, manufacturing and agriculture. Overlooking the scenic Cohansey River, the city has been experiencing a revitalization since 2008 that makes it particularly attractive to investors and business owners looking for retail space in South Jersey. The revitalization effort has included investment from Rutgers University and redevelopment of public areas near this retail space in Bridgeton NJ. For more information about this South Jersey retail space for sale at 399 East Broad Street Bridgeton NJ or about any other South Jersey commercial properties for sale or lease, please contact Jason Wolf (856-857-6301; jason.wolf@wolfcre.com) or Todd Levin (856-857-6319; todd.levin@wolfcre.com) at Wolf Commercial Real Estate, a South Jersey commercial real estate brokerage firm. Aided by increased confidence among area businesses, and further boosted by positive financial news, the South Jersey commercial real estate market exceeded expectations in the third quarter, according to a new quarterly market analysis issued by Wolf Commercial Real Estate, a leading South Jersey commercial real estate brokerage firm that specializes in South Jersey commercial real estate listings and services. During what has traditionally been the slowest quarter of the year, Wolf Commercial Real Estate identified approximately 443,173 sf of new leases and renewals executed in the South Jersey commercial real estate market – a gain of nearly 48% compared to the third quarter of 2012. New leasing activity in the South Jersey retail space and South Jersey office space markets accounted for approximately 57% of the total transactions, a sign that the South Jersey commercial real estate market is truly in recovery mode. The new law is the Economic Opportunity Act of 2013, which created Grow New Jersey (GrowNJ) and the Economic Redevelopment and Growth Program (ERG). These programs are designed to incentivize growth and investment by large and small companies across several industries. Wolf Commercial Real Estate reported encouraging news about the Southern New Jersey retail space market, even in areas that had been vulnerable, particularly CamdenCounty. Vacancy rates continued to fall slowly, coming in at 17% for the region, with CamdenCounty at 21% and BurlingtonCounty stronger at 13%. “This market is still challenged by a surplus of vacant space, but we have seen steady progress in positive absorption for several consecutive quarters, and the conditions are in place to potentially speed up the pace,” Wolf said. The research conducted by Wolf Commercial Real Estate, a South Jersey commercial real estate brokerage firm specializing in South Jersey commercial real estate listings and services, includes snapshots of the South Jersey retail space and South Jersey office space markets and details on the major deals being consummated or planned. • Area retail businesses and landlords did experience the expected summer slow-down in the form of slower growth, but growth remained positive. • Overall Southern New Jersey retail space vacancy has continued to drop. It hovered around 10.5% for the quarter, compared to 15% in the previous quarter. • Average rents for upscale lifestyle centers continue to show strong support in the range of $30-$40.00/sf NNN, and average rents for neighborhood and strip shopping centers in the Southern New Jersey retail space market remain in the range of $15-$23/sf NNN. • Total leasing activity for the quarter comprised 443,173 sf of new leases and renewals executed. • New lease and expansion deal activity in the South Jersey office space market comprised approximately 252,631 square feet. This is a 37% increase over Q2 figures. • Positive absorption for the second quarter was in the range of 148,000+/-sf of new deals and/or expansions. • Average rents for Class A & B product in the Southern New Jersey office space market were up by 5% over the previous quarter. Rents continue to show strong support in the range of $11.00-$14.00/sf NNN or $21.00-$24.00/sf gross, with an overall market average showing strong support in the $11.60/sf NNN or $21.60/sf gross for the deals completed during the third quarter. • The unemployment rate in New Jersey ticked down from 8.6 percent at the end of Q2 to 8.5 percent at the end of Q3. It has dropped steadily over the past year, and is now at the lowest point since March 2009. Figures continue to improve, but the state rate remains above the national rate of 7.3%. The full report, including details about several key deals, is available upon request from Wolf Commercial Real Estate, a South Jersey commercial real estate broker specializing in South Jersey commercial real estate listings and services. For more information about South Jersey retail space, South Jersey office space or any South Jersey commercial properties, please contact Jason Wolf (856-857-6301; jason.wolf@wolfcre.com), Leor Hemo (856-857-6302; leor.hemo@wolfcre.com), Christina Del Duca (856-857-6304; christina.delduca@wolfcre.com), Todd Levin (856-857-6319; todd.levin@wolfcre.com) or Scott Seligman (856-857-6305; scott.seligman@wolfcre.com) at Wolf Commercial Real Estate, the foremost South Jersey commercial real estate brokerage firm. Wolf Commercial Real Estate, a South Jersey commercial real estate brokerage firm that specializes in South Jersey commercial real estate listings and services, now has available premier South Jersey retail space for lease in the Allison Shopping Center at 27 North Maple Avenue Marlton NJ. This well-located South Jersey retail building for lease is scheduled for significant exterior renovations, including the addition of a corner tower and new signage for each retail outlet. There are units ranging in size from 1,425 to 3,600 square feet available in this South Jersey retail building for lease. The Allison Shopping Center ownership also can create up to 19,000 square feet for a large-block occupant in this South Jersey retail space for lease at 27 North Maple Avenue Marlton NJ. This retail space in South Jersey has several long-standing, popular tenants already in place, including a pizzeria, a florist and a convenience store. Additionally, there are several highly populated neighborhoods surrounding this South Jersey retail building for lease in the Allison Shopping Center at 27 North Maple Avenue Marlton NJ. There are 85,000 potential customers living within a three-mile radius of this South Jersey retail space for lease through Wolf Commercial Real Estate, a South Jersey commercial real estate broker. The asking lease rate for this retail space in South Jersey is $12 per square foot NNN. 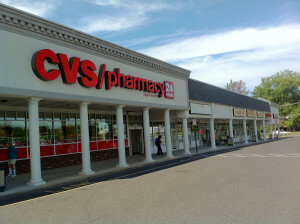 There is both building and pylon signage available at this South Jersey retail building for lease. The units in this retail space in South Jersey are available for immediate occupancy from Wolf Commercial Real Estate, a leading South Jersey commercial real estate broker that specializes in South Jersey commercial real estate listings and services. This retail space in South Jersey is conveniently located near the intersection of North Maple Avenue and the Marlton Pike (Route 70) in the Allison Shopping Center. This excellent location provides easy access to Route 70 and Route 73, which is just one block west. There is ample parking in this South Jersey retail building for lease at 6.5/1000 sf. On average, almost 18,000 vehicles a day pass by the Allison Shopping Center at 27 North Maple Avenue Marlton NJ. For more information about this South Jersey retail space for lease in the Allison Shopping Center at 27 North Maple Avenue Marlton NJ or about any other South Jersey commercial properties for sale or lease, please contact Jason Wolf (856-857-6301; jason.wolf@wolfcre.com) at Wolf Commercial Real Estate, the foremost South Jersey commercial real estate broker. Wolf Commercial Real Estate is a premier South Jersey commercial real estate brokerage firm that provides a full range of South Jersey commercial real estate listings and services, marketing commercial offices, medical properties, industrial properties, land properties, retail buildings and other South Jersey commercial properties for buyers, tenants, investors and sellers. Please visit our websites for a full listing of South Jersey commercial properties for lease or sale through our South Jersey commercial real estate brokerage firm. Wolf Commercial Real Estate, a leading South Jersey commercial real estate broker, is now offering premier South Jersey retail space for sale and/or lease at three shopping centers in Southern New Jersey. The three South Jersey shopping centers are: Gateway Plaza in West Deptford, Holly City Plaza in Millville, and Rancocas Woods Village Shoppes in Mount Laurel. This South Jersey retail space at 1000 Gateway Boulevard West Deptford NJ has approximately 20,496 square feet of well-located retail space in 08096 available for sale. There also are units ranging from 1,600 to 8,000 +/- square feet available for lease at this West Deptford retail space. This retail space in 08096 is an investment property that will require some capital upgrades but is priced aggressively at $1,250,000 ($60.92/sf). 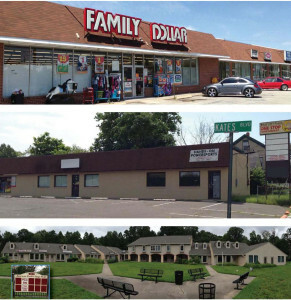 The asking lease price for this West Deptford retail space is $12.00 NNN. Located in a neighborhood strip shopping center at the corner of Cornell Lane and Gateway Boulevard, this retail space in South Jersey provides easy access to I-295. This West Deptford retail space is anchored by Family Dollar, which occupies approximately 12,000+/- square feet of space in Gateway Plaza under a long-term lease. Vacancies at this West Deptford retail space range from 1,600 sf to 8,000 +/- square feet, allowing for tremendous variation and potential. There are 31 parking spaces available at this retail space in 08096 at 1000 Gateway Boulevard West Deptford NJ. More than 71,000 people live within a three-mile radius of this retail space in South Jersey. Wolf Commercial Real Estate, a South Jersey commercial real estate brokerage firm that specializes in South Jersey commercial real estate listings and services, has been retained to market this West Deptford retail space at 1000 Gateway Boulevard West Deptford NJ. Information is available upon request. This Millville retail space in the Holly City Plaza at 201-211 Kates Boulevard Millville NJ has approximately 6,160 square feet of South Jersey retail space available for sale. This retail space in 08332 is located in a neighborhood strip center on the corner of Route 47 & Kates Boulevard in downtown Millville. This Millville retail space is partially leased, with one tenant currently occupying 1,500 sf and producing income. This retail space in 08332 is an investment property that will require some capital upgrades, but is priced for a quick sale at $325,000 ($57.14/sf). This retail space in South Jersey is a great investment opportunity with tremendous upside potential. There are six storefronts at this Millville retail space for sale 201-211 Kates Boulevard Millville NJ. The five vacant storefronts at this retail space in 08332 range from 675 square feet to 1,125 square feet. In addition, there are 20 parking space at this Millville retail space for sale. Approximately 27,000 people live within a three-mile radius of this retail space in 08332. Wolf Commercial Real Estate, a South Jersey commercial real estate broker that specializes in South Jersey commercial real estate listings and services, has been retained to market this Millville retail space for sale 201-211 Kates Boulevard Millville NJ. Information is available upon request. This retail space in Mount Laurel has 32,961 +/- square feet of retail space in South Jersey for sale in a privately owned neighborhood strip shopping center. There also are vacant units ranging in size from 940 square feet to 14,527 square feet available for lease at this MountLaurel retail space. This retail space in 08054 is located at 123 Creek Road Mount Laurel NJ in the Rancocas Woods Village of Shoppes. This Mount Laurel retail space for sale and/or lease has a newly renovated roof and siding. As an investment property, this retail space in 08054 will require some capital upgrades but is priced aggressively at $1,250,000 ($37.92/sf) with attractive lease rates for retailers and office users. This asking lease price for this retail space in Mount Laurel is $14.00 NNN. Units in this Mount Laurel retail space are available for immediate occupancy from Wolf Commercial Real Estate, a South Jersey commercial real estate broker. This retail space in Mount Laurel is a great opportunity for retail or professional use, including day-care, medical offices, and many other uses. Located at 123 Creek Road Mount Laurel NJ in the Rancocas Woods Village of Shoppes, this retail space in South Jersey provides direct access to I-295 (exit 43) and Route 38, and is within close proximity to Route 73. There is ample parking at this retail space in Mount Laurel. More than 38,000 people live within a three-mile radius of this South Jersey retail space at 123 Creek Road Mount Laurel NJ. Existing tenants at this retail space in 08054 include a pizzeria and two office users. Wolf Commercial Real Estate, a South Jersey commercial real estate brokerage firm that specializes in South Jersey commercial real estate listings and services, has been retained to market the remaining vacant spaces and/or facilitate the sale of the center. Information is available upon request. For more information about these South Jersey shopping centers for sale and/or lease, about other South Jersey retail space, or about any other South Jersey commercial properties for sale or lease, please contact Jason Wolf (856-857-6301; jason.wolf@wolfcre.com) at Wolf Commercial Real Estate, a South Jersey commercial real estate brokerage firm. Wolf Commercial Real Estate, a premier South Jersey commercial real estate brokerage firm, is now offering prime South Jersey retail space for lease in the CVS Plaza at 600 North Kings Highway Cherry Hill NJ. This retail space in South Jersey has a +/- 1,600 square-foot end cap and a +/- 3,200 square-foot inline store available for lease. This Southern New Jersey retail space for lease is available for immediate occupancy through Wolf Commercial Real Estate, a South Jersey commercial real estate broker that specializes in South Jersey commercial real estate listings and services. The asking lease price for this retail space in South Jersey at 600 North Kings Highway Cherry Hill NJ is $15.00 per square foot NNN. There is ample parking at this South Jersey retail space for lease at 6.4/1000 sf. This Southern New Jersey retail space for lease is in a contemporary neighborhood strip center that has a CVS pharmacy as its anchor store. In addition, this South Jersey retail space for lease is at the intersection of Chapel Avenue and North Kings Highway, affording convenient access to Routes 38, 70, 73, I-295 and the New Jersey Turnpike. More than 26,000 vehicles per day on average pass by this retail space in South Jersey that is available from Wolf Commercial Real Estate, a South Jersey commercial real estate brokerage firm that specializes in South Jersey commercial real estate listings and services. Almost 89,000 residents live within a three-mile radius of this Southern New Jersey retail space for lease at 600 North Kings Highway Cherry Hill NJ. For more information about this retail space in South Jersey at 600 North Kings Highway Cherry Hill NJ or about any other South Jersey commercial properties for sale or lease, please contact Jason Wolf (856-857-6301; jason.wolf@wolfcre.com) at Wolf Commercial Real Estate, a South Jersey commercial real estate broker. Wolf Commercial Real Estate is a leading South Jersey commercial real estate brokerage firm that provides a full range of South Jersey commercial real estate listings and services, marketing commercial offices, medical properties, industrial properties, land properties, retail buildings and other South Jersey commercial properties for buyers, tenants, investors and sellers. Please visit our websites for a full listing of South Jersey commercial properties for lease or sale through our South Jersey commercial real estate broker. Wolf Commercial Real Estate (WCRE), a Southern New Jersey commercial real estate broker that specializes in Marlton commercial real estate, is offering this premier South Jersey retail space for lease in the Allison Shopping Center at 27 North Maple Avenue Marlton NJ. This Southern New Jersey retail space for lease has 1,425 to 3,600 square feet of prime retail space available. In addition, the Allison Shopping Center ownership can create up to 19,000 square feet for a large-block occupant in this South Jersey retail building for lease at 27 North Maple Avenue Marlton NJ. The asking lease rate for this South Jersey retail space is $12 per square foot NNN. The units in this Marlton NJ retail space for lease are available for immediate occupancy from WCRE, a leading South Jersey commercial real estate broker that specializes in Marlton commercial real estate listings. Major exterior renovations are planned at this well-located Southern New Jersey retail space for lease. Located near the intersection of North Maple Avenue and the Marlton Pike (Route 70) in the Allison Shopping Center, this retail space in 08053 also offers easy access – one block west – to Route 73. Parking is abundant in this South Jersey retail building for lease at a ratio of 6.5/1000 sf. Nearly 18,000 vehicles a day on average drive by this Southern New Jersey retail building for lease on North Maple Avenue. There are 85,000 residents living within a three-mile radius of this South Jersey retail space for lease through Wolf Commercial Real Estate, a South Jersey commercial real estate broker. For more information about this Southern New Jersey retail building for lease at the Allison Shopping Center, about other retail space in 08053 or about any other South Jersey commercial real estate listings, please contact Jason Wolf (856-857-6301; jason.wolf@wolfcre.com) at Wolf Commercial Real Estate, a leading Southern New Jersey commercial real estate brokerage firm. As real estate brokerage and advisory experts in Southern New Jersey that specialize in Marlton commercial real estate listings, the team at our South Jersey commercial real estate brokerage firm provides ongoing detailed information to our clients and prospects to help them achieve their real estate goals. At WCRE, our Southern New Jersey commercial real estate services encompass the highest quality of service, proven expertise, and a total commitment to client-focused relationships. Learn more about WCRE, a Southern New Jersey commercial real estate brokerage firm that specializes in Marlton commercial real estate listings, online at www.wolfcre.com, on Twitter @WCRE1, LinkedIn and on Facebook at Wolf Commercial Real Estate, LLC. Visit our blog pages at www.southjerseyofficespace.com <http://www.southjerseyofficespace.com/>, www.southjerseymedicalspace.com <http://www.southjerseymedicalspace.com/>, www.southjerseyland.com <http://www.southjerseyland.com/>, www.southjerseyretailspace.com <http://www.southjerseyretailspace.com/> and www.southjerseyindustrialspace.com <http://www.southjerseyindustrialspace.com/>. WCRE is a leading Southern New Jersey commercial real estate broker that provides a full range of Southern New Jersey commercial real estate services, marketing commercial offices, medical properties, industrial properties, land properties, retail buildings and other South Jersey commercial real estate listings for buyers, tenants, investors and sellers. Please visit our websites for listings of South Jersey retail space for lease or sale and other Southern New Jersey commercial real estate services or for information about South Jersey commercial real estate listings for office space, retail space, medical space, industrial space or land for sale or lease from this South Jersey commercial real estate brokerage firm. The Southern New Jersey commercial real estate market continues to emerge solidly from the havoc caused by the Great Recession, but significant South Jersey retail space and office space vacancies and the possibility of rising interest rates may provide challenges for the future of the Southern New Jersey commercial real estate market, according to a new quarterly market analysis issued by Wolf Commercial Real Estate (WCRE), a leading Southern New Jersey commercial real estate brokerage firm that specializes in South Jersey commercial real estate services. Approximately 540,000 square feet of new lease deals and renewals for Southern New Jersey commercial real estate were executed during the second quarter, and about 35 percent, or some 185,000 square feet of the total, comprised new deals, according to WCRE’s quarterly Southern New Jersey Office and Retail Market Update, which is now in its second year. The jump in Southern New Jersey retail space and office space activity was one of several positive developments noted in the report. The report on South Jersey commercial real estate activity notes that the stock market closed Q2 up 12 percent on the year – its best first half of a year since 1999 – and that unemployment rates both in New Jersey and nationwide continue to fall, while South Jersey office space rental rates have stabilized and continue to rise, and Southern New Jersey retail space rental rates were rising for the first time in five years. Still, according to WCRE, vacancy rates in the office market for Class A and B product remain in the range of 18-19 percent. 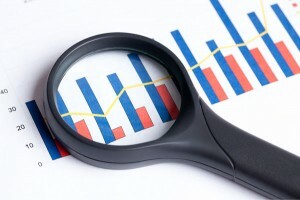 Amid all the good news for the South Jersey retail space and office space market, the report finds a possible indicator that inflation may be on the horizon, noting the sharp rise in the 10-Year Treasury yield through May and June and the effect that could have on interest rates in the Southern New Jersey commercial real estate market. “If interest rates go up, our borrowing costs go up, which will have an effect on pricing and cap rates,” according to the report from Wolf Commercial Real Estate, a Southern New Jersey commercial real estate broker that specializes in South Jersey commercial real estate listings. — Average rents for Class A & B product remained at or above the improved level they reached last year, continuing to show strong support in the range of $10-$14.00/sf NNN with an overall market average of $11.00/sf NNN for the Southern New Jersey office space deals completed during the quarter. The full report, including details about several key deals, is available upon request from Wolf Commercial Real Estate, a South Jersey commercial real estate brokerage firm that specializes in South Jersey commercial real estate listings. For more information about South Jersey professional office space, South Jersey retail space, or about any other Southern New Jersey commercial real estate listings, please contact Jason Wolf (856-857-6301; jason.wolf@wolfcre.com), Leor Hemo (856-857-6302; leor.hemo@wolfcre.com), Christina Del Duca (856-857-6304; christina.delduca@wolfcre.com) or Scott Seligman (856-857-6305; scott.seligman@wolfcre.com) at Wolf Commercial Real Estate, a leading Southern New Jersey commercial real estate broker. As real estate brokerage and advisory experts that specialize in Southern New Jersey commercial real estate services, the team at our South Jersey commercial real estate brokerage firm provides ongoing detailed information to our clients and prospects to help them achieve their real estate goals. At WCRE, our South Jersey commercial real estate services encompass the highest quality of service, proven expertise, and a total commitment to client-focused relationships. Learn more about WCRE, a Southern New Jersey commercial real estate brokerage firm that specializes in Southern New Jersey commercial real estate listings, online at www.wolfcre.com, on Twitter @WCRE1, LinkedIn and on Facebook at Wolf Commercial Real Estate, LLC. Visit our blog pages at www.southjerseyofficespace.com http://www.southjerseyofficespace.com/, www.southjerseymedicalspace.com http://www.southjerseymedicalspace.com/, www.southjerseyland.com http://www.southjerseyland.com/, www.southjerseyretailspace.com http://www.southjerseyretailspace.com/ and www.southjerseyindustrialspace.com http://www.southjerseyindustrialspace.com/. WCRE is a leading Southern New Jersey commercial real estate broker that provides a full range of Southern New Jersey commercial real estate services, marketing commercial offices, medical properties, industrial properties, land properties and retail buildings for buyers, tenants, investors and sellers. Please visit our websites for information about Southern New Jersey retail space for sale or lease and other Southern New Jersey commercial real estate services or for information about South Jersey commercial real estate listings for office space, retail space, medical space, industrial space or land for sale or lease from this South Jersey commercial real estate broker.